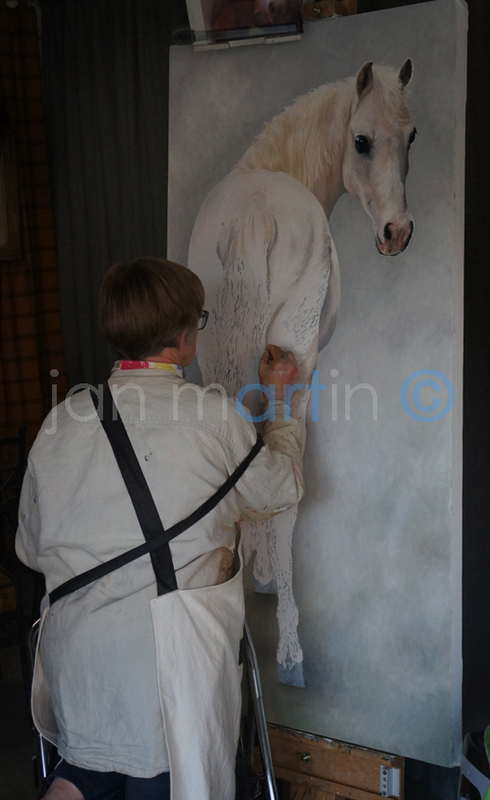 Former lecturer, Jan Martin, has been working at her home in the East Riding of Yorkshire developing her painting and drawing technique since 1997. Experienced horse rider and competitive carriage driver. She initially specialised in equestrian subjects she has however now expanded her portfolio to include sporting dogs, domestic pets, wildlife and portraits of people. Working from photographic studies, either provided by her clients or taken by herself, she produces detailed figurative works of art at a variety of sizes, from 10" x 8" head studies to life size full figure portraits of horses and dogs and using a variety of media, her favourites being coloured pencil crayons and oil paints.